Thick frame pad for your Ovalie 430 garden trampoline. The frame pad is one of the essential safety elements on your trampoline. The frame pad protects users from the springs and the steel framework, in case of a bad fall. If it is too damaged from years of use to fulfill its protective role, than you can easily change it. 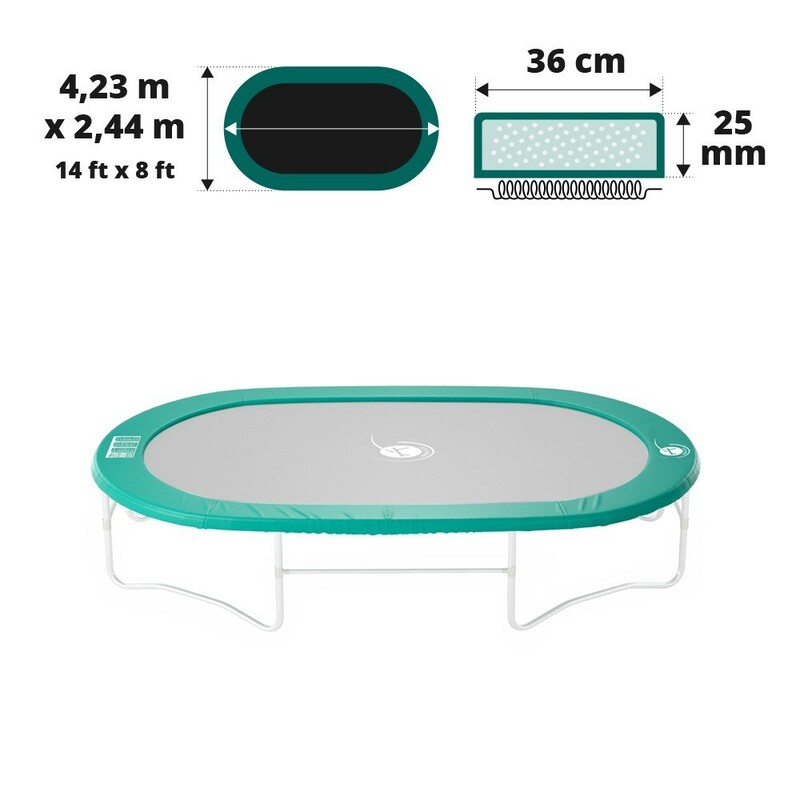 This model is adapted to oval trampolines measuring 4.23 m x 2.44 m.
- This green frame pad is adapted to your Ovalie 430 trampoline or any other trampoline with the same dimensions of 4.20 by 2.44 m. Your springs should not be longer than 180 mm. 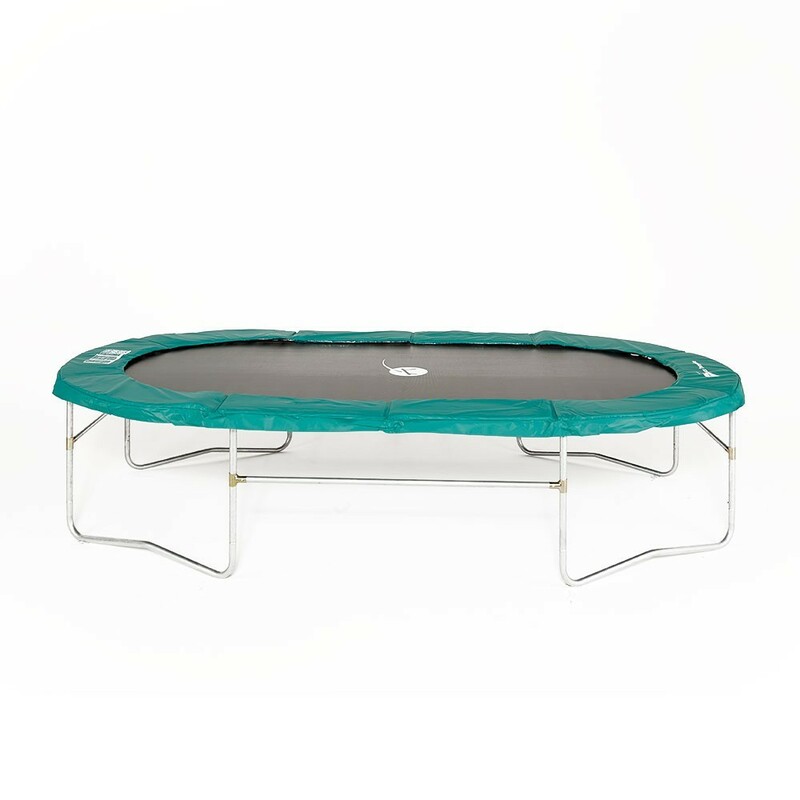 - France Trampoline’s aim is to offer quality items which will allow you to practice trampolining safely and comfortably. This is why our frame pad for Ovalie 430 trampolines is made from EPE monobloc foam which is 25 mm thick. EPE is expanded polyethylene which is flexible and shock resistant. This frame pad is frost and mould resistant as the foam is perfectly waterproof. - The foam is a monobloc, making it more resistant than other pads on the market that disintegrate quicker as they have several layers of foam . 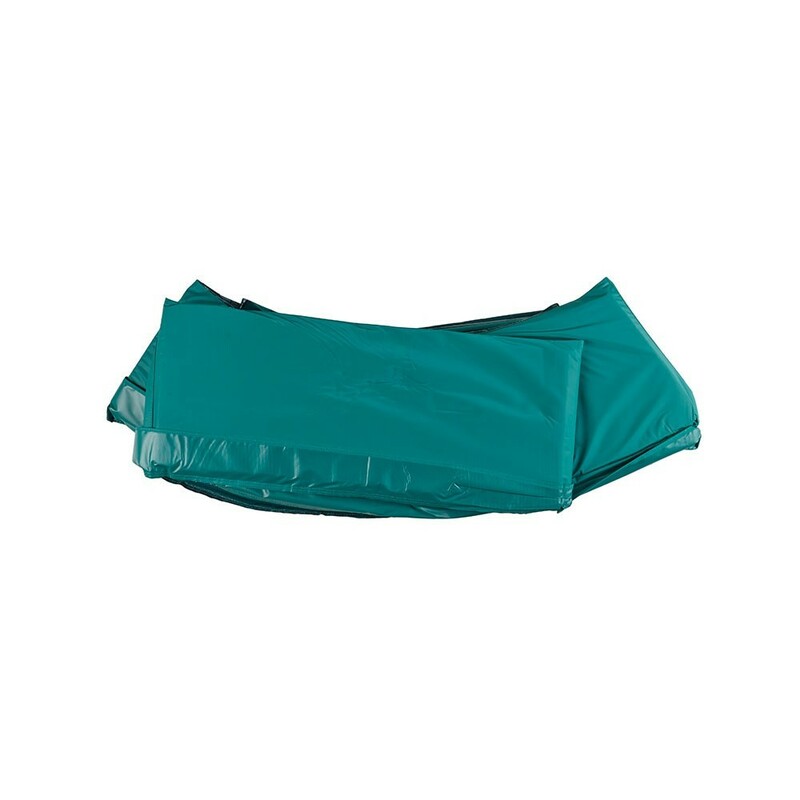 - The high density green PVC cover offers maximum protection from the weather. It is 0.55 mm thick and has a density of 650 g/m², it has also been UV protected for improved durability. 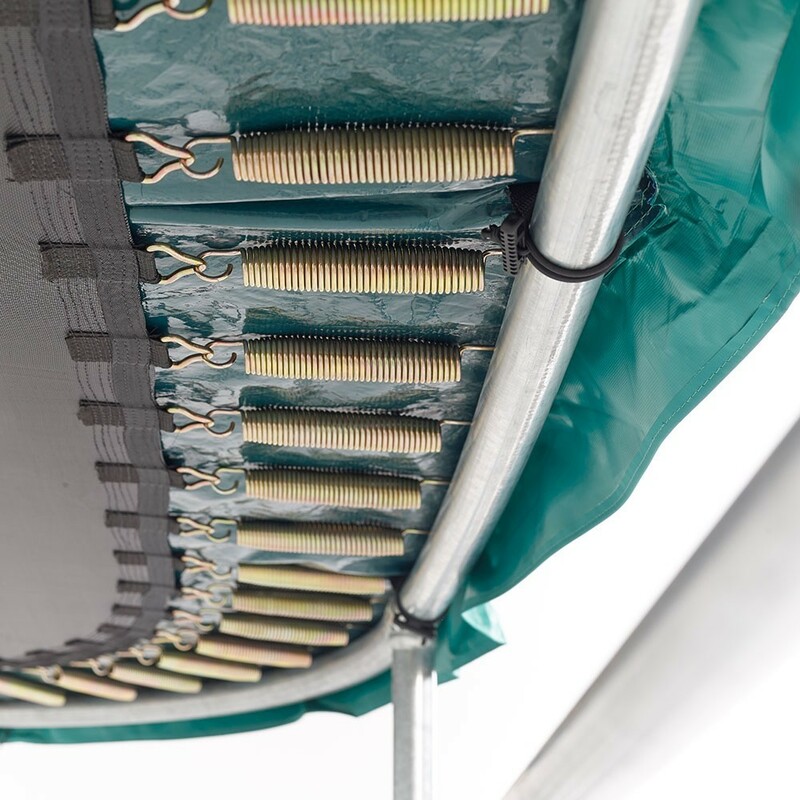 - We have added elastic straps to our frame pad to hold it firmly in place on your trampoline. 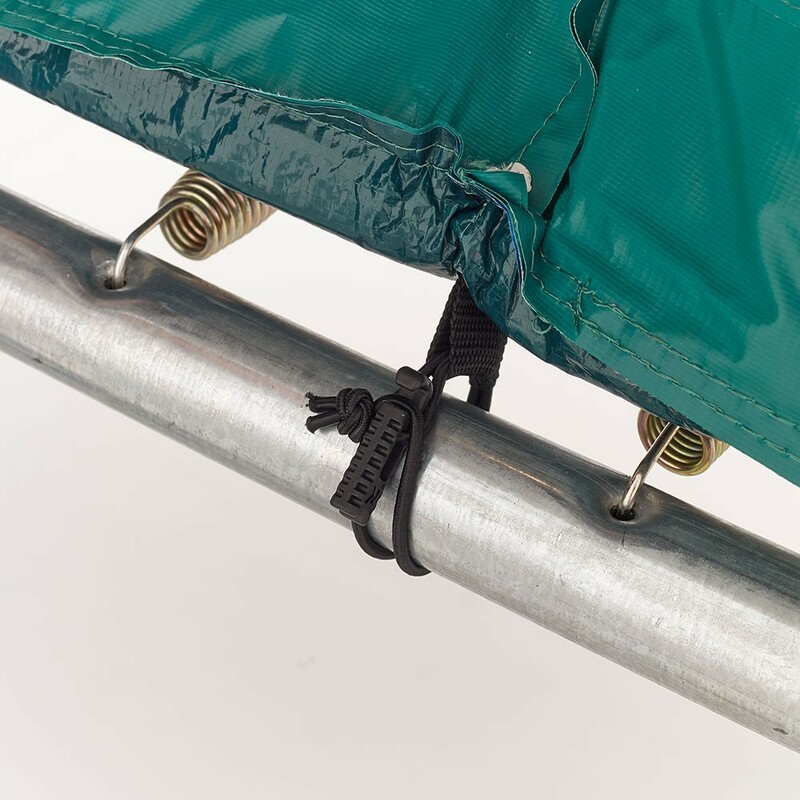 With the eyelets inserted on the underside of the frame pad, the 10 elastic straps delivered with this spare part, allow some space between the frame pad and the springs whilst it is in use.